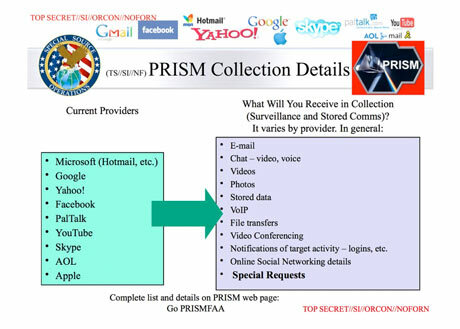 The NSA access is part of a previously undisclosed program calledPrism, which allows officials to collect material including search history, the content of emails, file transfers and live chats, the document says. 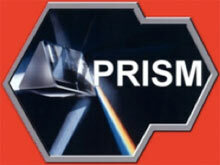 Several senior tech executives insisted that they had no knowledge ofPrism or of any similar scheme. They said they would never have been involved in such a program. “If they are doing this, they are doing it without our knowledge,” one said. Companies are legally obliged to comply with requests for users’ communications under US law, but the Prism program allows the intelligence services direct access to the companies’ servers. The NSAdocument notes the operations have “assistance of communications providers in the US”. 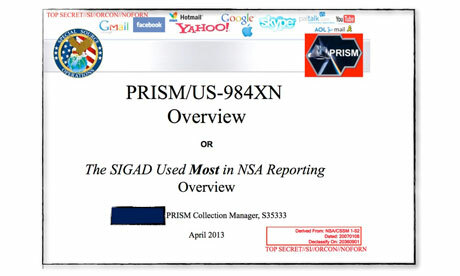 The presentation claims Prism was introduced to overcome what the NSAregarded as shortcomings of Fisa warrants in tracking suspected foreign terrorists. It noted that the US has a “home-field advantage” due to housing much of the internet’s architecture. But the presentation claimed “Fisa constraints restricted our home-field advantage” because Fisa required individual warrants and confirmations that both the sender and receiver of a communication were outside the US. The NSA document indicates that it is planning to add Dropbox as aPRISM provider. The agency also seeks, in its words, to “expand collection services from existing providers”. 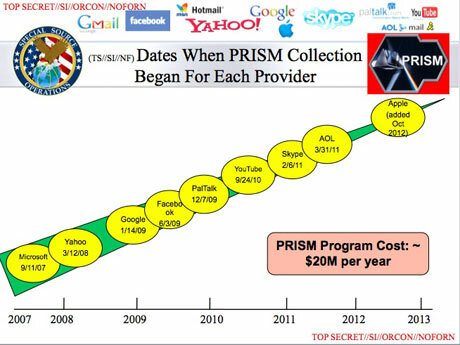 In total, more than 77,000 intelligence reports have cited the PRISMprogram.